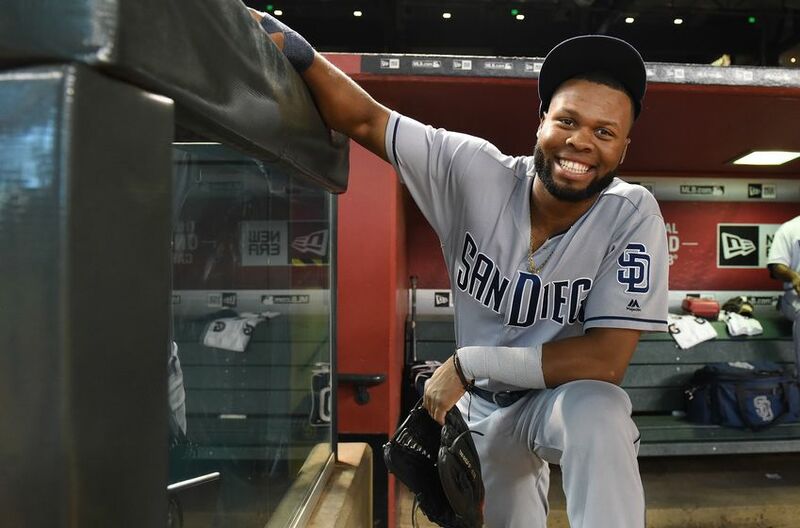 We come to the third and final part of our three-part preview of the Padres 2019 season. All things being equal, how many games will they win? The answer is going to come down to how well the following questions are answered. After analyzing them, I will give my own prediction, and you can give your own in the comments section. What will Manny Machado do? If you’ve read parts one and two, then you know that this is a recurring theme: so much of 2019 centers upon general manager A.J. Preller’s early Christmas present to San Diego. On the one hand, Machado has an impact bat and plays elite defense at third base. On the other hand, well, just look at the highlights of the playoffs last year. To be clear, I am rooting for Machado. I want to see him take his game to an even higher level than it already has been. But the majority of the time, contracts that are this large and this expensive rarely work out. Padre fans will be rooting for him to break the trend, and lead this team to becoming perennial contenders. Can Austin Hedges improve offensively? Last season, Hedges was hitting like he always does; that is to say, not very well. Prior to losing time to injury in early May, he was batting .188, and he finished with a .231/.282/.429 slash. But even those less-than-stellar numbers were beefed up by a strong July (.308/.366/.538). Granted, Hedges’ defensive prowess and ability to work well with pitchers are his calling card; and, they’re why he, and not young Francisco Mejia, will likely be the Padres starting catcher—at least for now. If Hedges can improve on his 2018 numbers, that will really help his team’s chances and enable him to keep his starting job. If not, Mejia’s bat and improved catching skills are waiting in the wings. A key piece of the 2015 Craig Kimbrel trade, Margot fizzled in his sophomore season, especially where it counts most as a potential leadoff hitter: on-base percentage (.313 in 2017, .292 in 2018), and steals (17 in 24 attempts in 2017, 11 in 21 tries last year). As spring training closes, it’s clear that Andy Green is eyeing a primary starting outfield of Hunter Renfroe, Myers, and Reyes. That’s great for offense, but without Margot (and Jankowski), the defense is going to suffer. But it’s for that reason that they need Margot to hit. He needs to find his stroke, become more patient at the plate, and more aggressive, wise, and confident on the base paths. 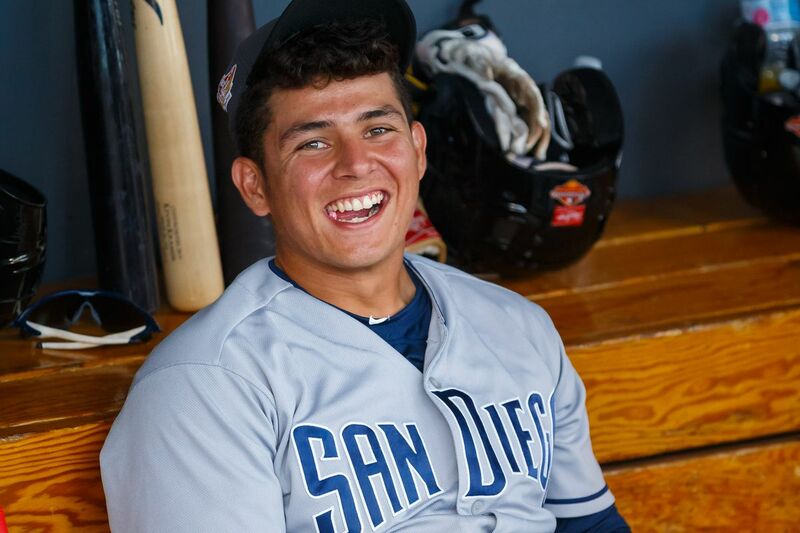 Tatis and Urias: how quickly can they establish themselves? Because I dealt with this in part two, I won’t add much here. But in all seriousness, how quickly Tatis and Urias establish themselves will be key to their 2019 chances. If they can overcome their initial jitters quickly, the Padres could easily make a run at a wild card. But if not, then our hopes for making the playoffs will truly have to wait until 2020 and beyond. Can at least one of the starting pitchers take things to the next level? Or, can Preller swing a last-minute deal for a starter who has both big league experience and success? If not, then the Padres 2019 rotation will consist of two sophomores (Joey Lucchesi and Eric Lauer), a guy with great stuff but pitched in only 62 innings last year (Matt Strahm), Robbie Erlin — who really is better suited for the bullpen, and any number of rookies, most of whom have yet to make their big league debuts (Chris Paddock, Logan Allen, Cal Quantrill, etc.). Someone might also mention Dinelson Lamet and his likely mid-season return; but two things: first, he is recovering from Tommy John surgery, and two, he has about the same amount of big league experience as Lucchesi. How will Andy Green handle the pressure? As any poker player knows, you can only do so much with a pair of two’s. 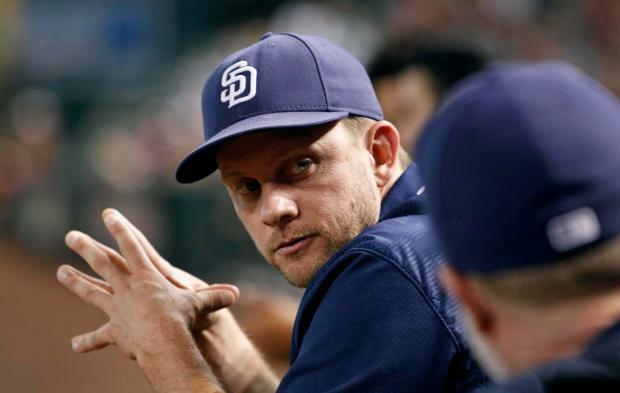 So also with the Padres, manager Andy Green has not had to deal with much pressure to win, given that the on-field product was in rebuild mode (though he deserves high marks for how he has handled the young ballplayers). But starting this season, all of that has changed. The addition of Machado, the burgeoning talent, and the possible addition of an established starter (see here) equals greater expectations. For 2019, Green may get a pass if his team doesn’t make the playoffs. But beyond that, management and fans are waiting for more than just their first winning record since 2010. The Padres will win 76 games this year. Now, that is not as much as some readers were hoping for. But here is how they can do better: (a) Lucchesi, Paddack, or someone else emerges as a front-line starter, (b) the Padres acquire Marcus Stroman, Trevor Bauer, or someone else, (c) Margot learns how to get on base regularly, steal proficiently, and provide his typically stellar outfield defense, and (d) Machado produces like he is capable of doing. If all of these things happen, then the team has a reasonable chance of a winning record, and even making their first playoff appearance in more than a decade. But if not, then 76 is likely where they will end up. If that sounds disappointing, just remember that this is a 10-game improvement from last season, and many of their immensely talented young ballplayers will have gotten a year of experience under their belts. Lastly (and perhaps most importantly), they will once again be an exciting team to watch. A native of Escondido, Greg is a free-lance writer who currently resides in Western Canada. He remains an avid Padres fan. Andy Green is in the first year of his 3-year extension, he won’t be fired. There won’t be a trade for a midlevel pitcher, this is the year several high-upside prospects will get extended chances. Myers will be in left field, not center. he was playing there in ST to give more innings to corner outfielders, and not just Renfroe and Reyes. Manny Machado is changing leagues and playing a less forgiving ballpark than Camden Yards, and Dodger Stadium and Frisco Field (whatever it’s called now) are nothing like Fenway and Yankee stadium either. Factor that in, and depending on Manny to lead the club might be too much to ask. A won/loss record anywhere around .500 will be close enough, even without a breakout among the pitchers, who are better than most observers think. Green’s job security is not his contract, it’s club performance. The Padres win 70 in 2019 he’ll be gone, contract or not. There’s an expression in baseball, that managers are “hired to be fired”. Better managers than Andy Green have been shown the door. Torre won 4 WS in NY, Francona won 2 WS and broke the curse. Both were pushed out. Plenty of managers have been fired even though they are under contract. Bud Black was well regarded and fired by Preller in mid season! If the club wins 76 in 2019, look for Andy Green to be fired. All that you wrote is reasonable, but ownership surely feels that after adding Machado this team will get much better. 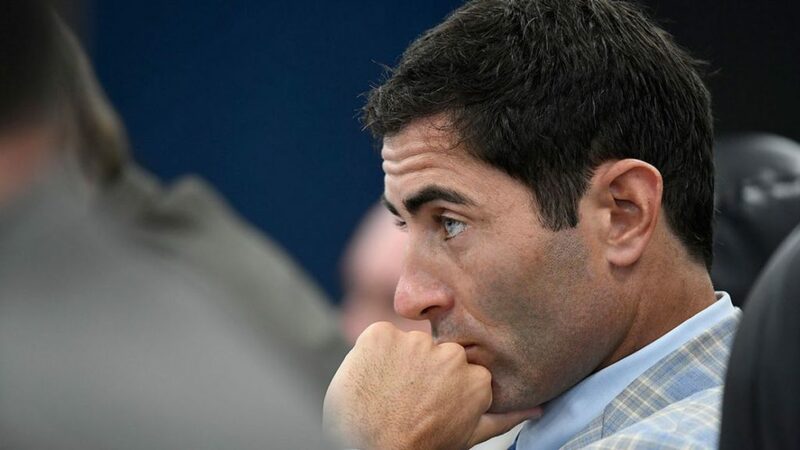 If it doesn’t, the heat will come down on Preller, and he will do what GMs always do, buy themselves a short reprieve by firing the manager. 1) the team has given up on Margot as a CF. This would be unwise as he is only 24. He was worth 1.9 WAR in his rookie year of 2017, there is still growth potential here. 2) they don’t respect defense, a real possibility if one looks at the Preller years. 3) the team is desperate to add offense at any cost. With a young staff, playing in a fairly big OF, and with so many road games at pitchers’ parks (LAD, COL, SFG, ARI) it makes more sense to have a CF who can actually play the position. 4) the team is showcasing Myers. They might feel it makes it easier to trade him if they can plausibly shop him as being able to play 5 positions (LF, CF, RF, 1B, DH). 5) the team can’t read a stat sheet. Margot has been good this spring, .267 BA and .340 OBP. Myers has been meh, .211 BA and .318 OBP. And Renfroe has been abysmal, .167 BA, .205 OBP and .278 SLG (lowest on the team for hitters with at least 25 ABs). If Andy Green links his teams’ success to Hunter Renfroe, assuming this is not a Preller decision, then waive goodbye. Fangraphs expect the Padres to have the 16th best CF if it’s Margot, and the 17th best LF if it’s Myers, but closer to the 26th best LF if it’s Renfroe. Trading the 16th best CF for the 26th best LF, and getting much less defense in CF from Myers is so clearly a poor choice, that someone should lose their job over it. It’s just a matter of whom. I thought the game of baseball was about scoring more than the team you are playing that day. But throw that out the window because it is all about FANGRAPHS PROJECTIONS which are spot on everytime. I think the Padres win 84 games this season.